In the location and settlements used by GEO-SPIRULINA Ltd, high quality spirulina was produced for over 20 years until now. 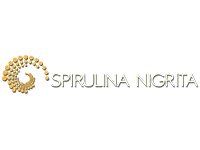 GEO-SPIRULINA Ltd is indeed the first producer of spirulina in Greece, who created the knowledge and demand that exists in Greece for this product. GEO-SPIRULINA NIGRTITAS Ltd has invested significant money and know-how in production facility until now, aiming to the significant increase in production volumes, by prolonging the productive period (from 5 to 12 months), by making better use of natural geothermal energy in the location and also by creating new growth pools for spirulina. Along as the quantitative increase, rationalization of the production process takes place and the stabilization/optimization of quality control procedures too. Spirulina Nigrita is certified as particularly high quality globally, due to the combination of specific geo-climatic conditions of the area (sunshine, geothermy) with superior facilities, since the production pools are closed (Greenhouses), contrary to the dominant international practice of open pools. For these reasons and many more we have become attached to Spirulina and we strive respectfully to raise the Greek production as top worldwide!